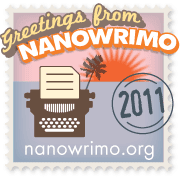 Temporary Writing Insanity by Maureen Hovermale | WriMos FTW! I sat in front of the confirmation email wondering if my sinus medication was out-of-date. What would make me want to sign up for this 50,000 word-count one-month torture gig? This is my first year at Nanowrimo and I’m not prone to masochistic behavior yet here I am: Gearing up for the write of my life. There it was in my inbox in black and white with a cheerful little message telling me the ins and outs of what I could expect with links to help pages and encouragement. The prevailing thought in my head at the time was that I’ve done a lot of things for a t-shirt better left in my past, but I’d thought I’d grown out of that phase. I started ticking off excuses: I’m not particularly technologically adept; the Internet and I often having a wary stand-off with my keyboard left punch-drunk from my forceful reattempts at entering something I just know should work. I don’t even know the program. Looking further into it, I realized the ‘program’ was a straight-forward editor that looked and felt like using any other of the sort, so that argument was lost. My work as a writer is more than often solitary. What in the world would make me go full-out and enter a massive project with countless strangers like this? I’ve collaborated before and really, if I didn’t want to this time, I didn’t have to. Sure there were groups in my area that had help if I needed it, but if I didn’t want to, nobody was forcing me. I really want to do this. I want to prove to myself, more than anybody else, that I can take this head-on and accomplish it. A sort of Mt. Everest writer-style high-fiving bragging right. Well, there went that. I was committed or should be committed, and exactly which one of the two, I wasn’t quite sure. I’m determined to take it from the blank page onwards and not have one single word written for this before the clock strikes 12:01 a.m. November first. If I’m going to do this, I’m going to do it right. Would Sir Edmund Hillary and Tenzing Sherpa have hopped on a helicopter to scale the mountain? No, it would have defeated the purpose. While I’m still uncertain as to what my particular purpose in all of this is, I do know that I feel strongly about starting and finishing right, no matter the time obstacles or hair-pulling that will more than likely occur. Still, I can’t help but feel that perhaps I’m not up to the task and know that the way my schedule has been lately, that I’m really asking quite a bit of everyone around me to even consider doing this. So many reasons that ultimately come down to the fact that I’m just getting the jitters. I know though, if I don’t do NaNoWriMo, I’m going to pay for it later in the woulda, coulda, shoulda department and I’ve learned a long time ago, that it just won’t do. Here I go then. It’s decided and heaven help me, I’m going to reach that peak, snow-covered or not. Wish me luck and more back at you, if you’ve signed up too. We’re compatriots now and we’ll conquer this mountain come what may. If you need help, I’ll untangle my fingers from the keyboard and send you a line. Hopefully you can do the same for me if I get stuck on a ledge. WHO'S WITH ME? Strike those excuses and hop on the NaNo train of fun. 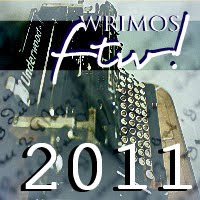 WriMos FTW! Here’s what Maureen Hovermale (@zenchery) tells us about herself: I'm a writer and reviewer who tries to put everything I’ve got into everything I do, which means I fall from exhaustion with a book on my face quite often. I tried to keep this part of me a secret, but was exposed quickly by the tell-tale crease down the left side of my face after waking. I have a perpetual extra bump on my middle finger from writing and have discovered that a thesaurus is not a dinosaur. (I looked it up.) My OCDs are entering writing contests and folding sheets precisely into the ball they were meant to be. Welcome to the party! However hard it is, I promise it's worth it. Doing NaNo last year was one of the best decisions I ever made, and that was in spite of a similar list of reasons not to. I think "temporary" writing insanity is settling. Insanity 4 life yo. Fun post, and I'm sure you'll do great! Good luck. H Maureen! Welcome to the Insanity Club of Cracked Nuts, or NaNo party as we call it anywhere else. If you're worried about doing this and sacrificing every inch of your free time waking or sleeping in this project, no worries, you probably will do just that. But the whole time you start or continue to stress or rocket-dive into a bathtub of coffee and penguins, we all will be here. Some of us, like Jennifer, will smack-talk you back into shape. Others, like myself, will turn your brain into mush with psycho babble and random thoughts reserved for the IP cases at the asylums 'round the world. Trust me, there's many more who will help in their own way, but if I list them all I'll need three jelly donuts and a personal Italian chef named Barty, so we'll avoid going into super details. I'll make sure to add you to my list of NaNo nutties on Twitter! You won't regret it! NaNo is the most fun thing a writer can do during a year. The most exhausting, too, but it's absolutely worth it. Just a couple of advices: plan your story in advance, else you'll be throwing in pirates and ninjas out of sheer panic. Clean your house thoroughly before November, because you won't have much time for housework during NaNo! 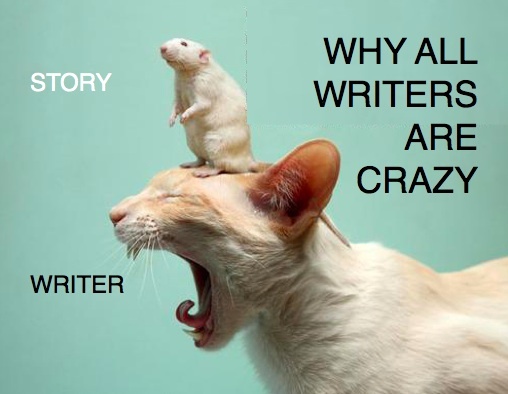 Forget editing, grammar, thesaurus, research, spell checking - when the 1st comes, just write, write, write! I'm a first-timer, too. I have all the same arguments for not doing it, but I'm doing it anyway. My already chaotic household will just have to take on a little more crazy. If you want, you can add me as a writing buddy. Find me under Momfog. Thanks for stopping by, Daina. All good advice. Good luck in November! I'm not sure about whether your post makes me more excited or more scared. First time for me as well and apart from the challenge in itself, the biggest draw for me is the thought of so many people doing this together - a huge gulp of community spirit to get drunk on and come out of this temporary insanity with a great experience! 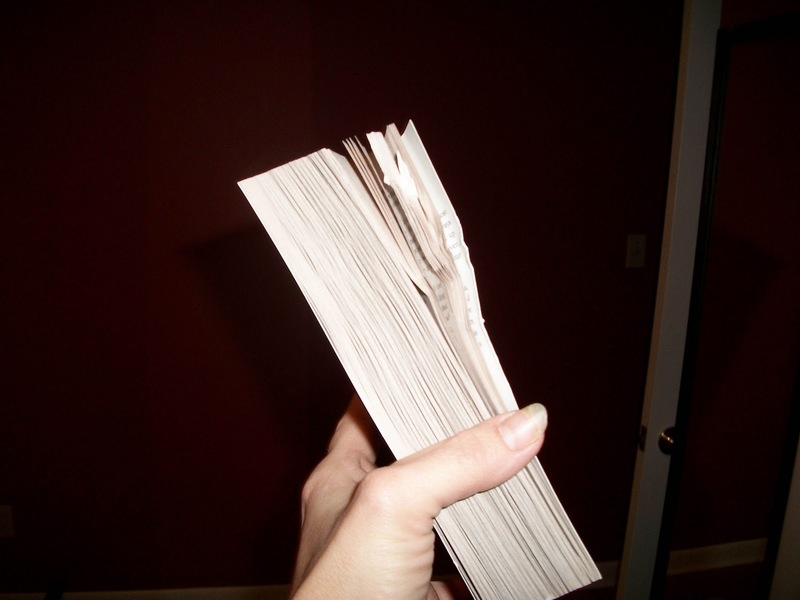 I'm another Nano virgin so you are not alone. To be honest - I am terrified.